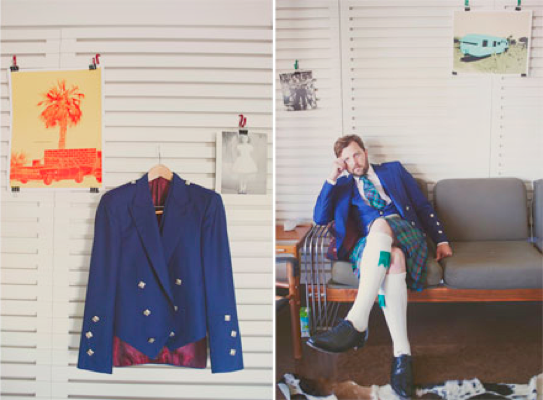 The kilts weren’t the only style statements at this wedding. One guest’s purple and grey look is worth a mention, but so is the guy in the maroon suit. And did I mention the owl? No? Well, yeah. There’s an owl, too.